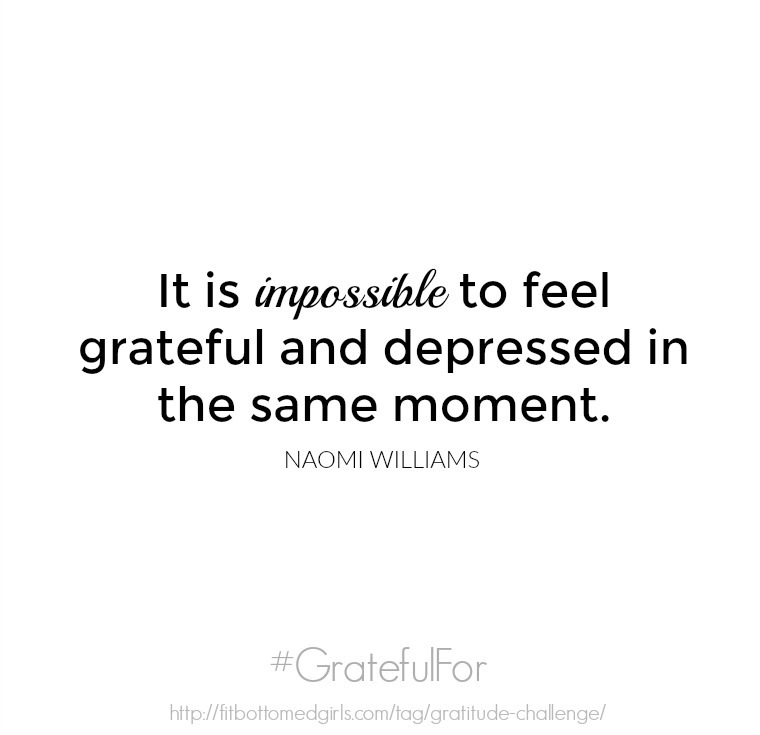 It’s the final day of our 5-day gratitude challenge. But don’t get sad about it. Today we’re going to create something so that you can keep your attitude of gratitude going and going and going … by making a gratitude journal! The idea of a gratitude journal is pretty simple: it’s a place for you to jot down things that you’re grateful for on the daily. And it’s pretty darn easy to do. 2. Create it. If going old school, simply grab a journal, notebook, notepad or even staple together a few sheets of paper for your journal. If going digital, set up a document or note on your phone or tablet or computer — or set up a gratitude email exchange with a friend. Make it as fancy and designed and elaborate or as plain as you want to. There’s no right way to do this. 3. Decide on a plan. Like anything, gratitude is a habit. So set a goal as to when and where you’ll be noting what three to five things you’re grateful for. Will you do it when you wake up? Before you go to sleep? At lunch? Will you set an alarm at 3 p.m. as a reminder to jot them down? Set up the framework that will work for you and your life. 4. Do it! Every day, do your gratitude thing, yo! It sounds useful. I like this post. It waits for your next article. I love journaling in my gratitude journal! It definitely keeps my mind on the things in life that matter 🙂 Even when things aren’t going the way I want them too it is a nice reminder of everything in life that I am grateful for 🙂 Thanks for sharing! !